by trench Posted 3rd Mar 2012 at 2:03 PM - Updated 3rd Mar 2012 at 6:53 PM by trench : Changes made. Noticed some minor mistakes on the lot and therefore I corrected them and updated the .rar file as well. A build that took me dozens of hours and half a year has finally been finished. 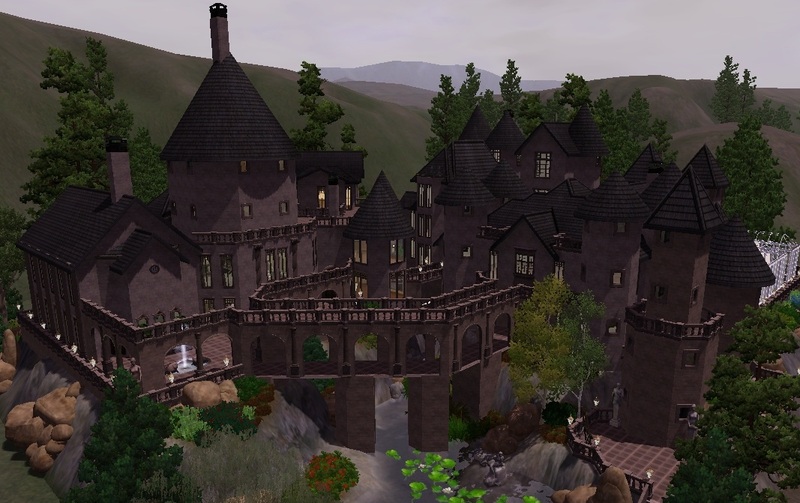 Hogwarts is now avaible for your rich sims as a residential lot! 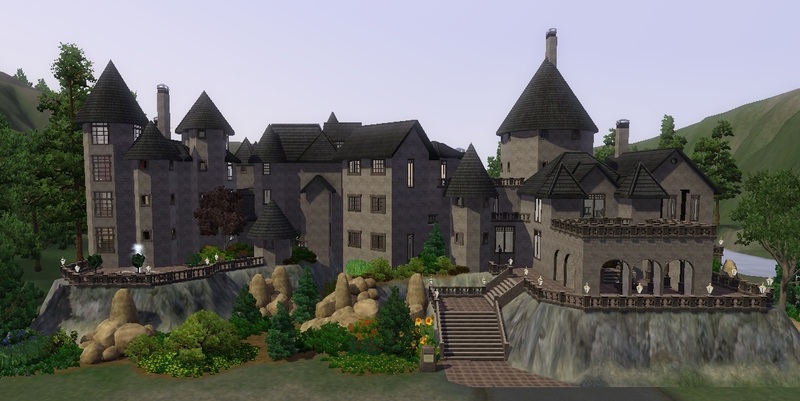 When I started the build, I was suprised that I could find none versions of Hogwarts made for The Sims 3 on any sites that I searched. Thus I decided to build it myself. 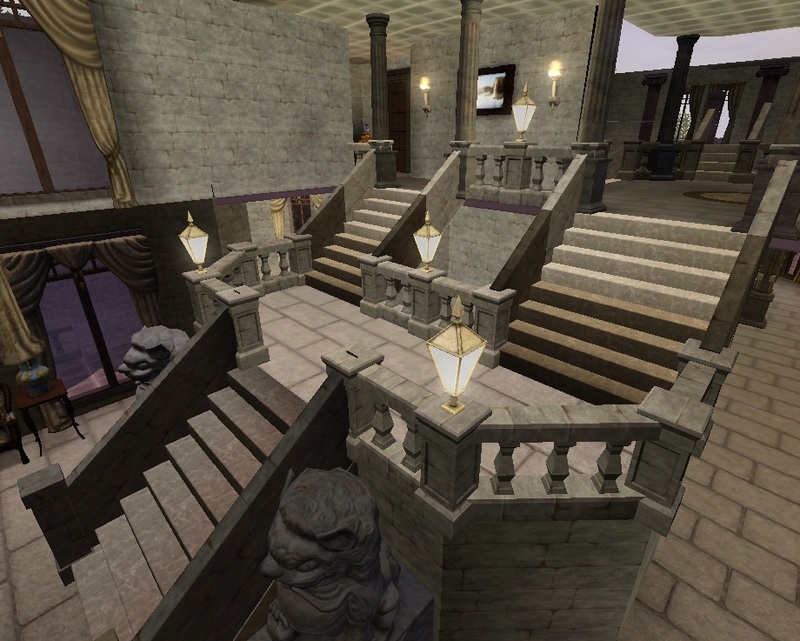 I wanted the castle to be as realistic as possible, but some elements of it had to be sacrificed for playability. 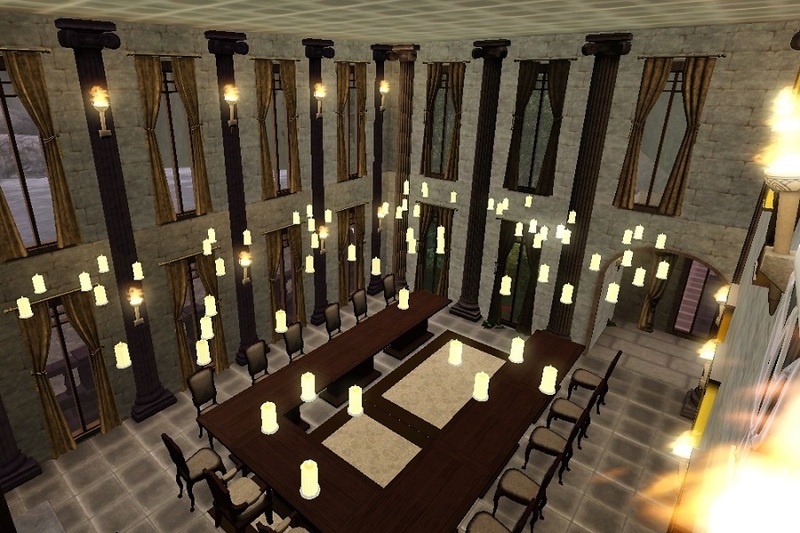 However, I would say that I was able to cover the key elements of Hogwarts such as the Great hall, grand staircase and the common rooms. 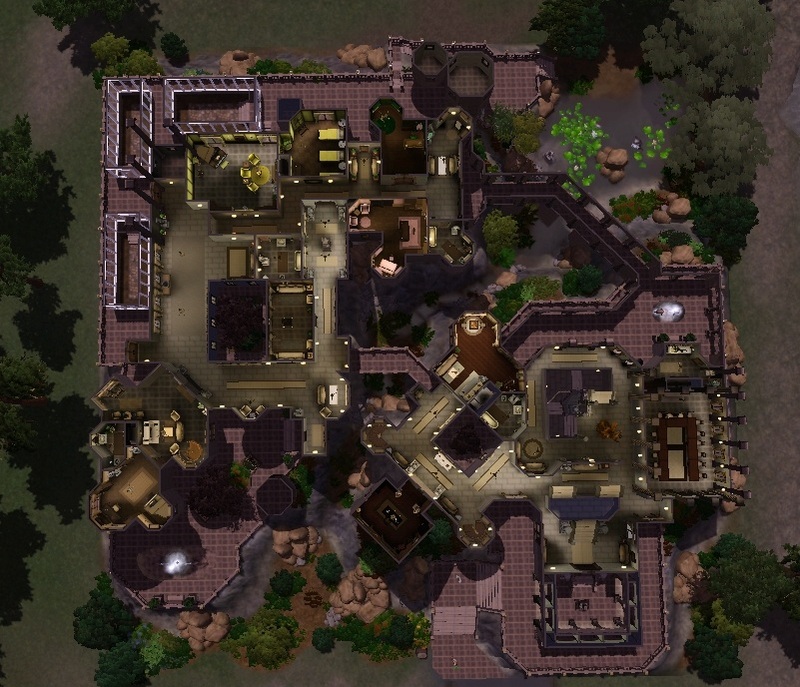 This version of Hogwarts also includes the greenhouses, a chamber of secrets of sorts and office of Dolored Umbridge which, in my opinion, are recognizeable. 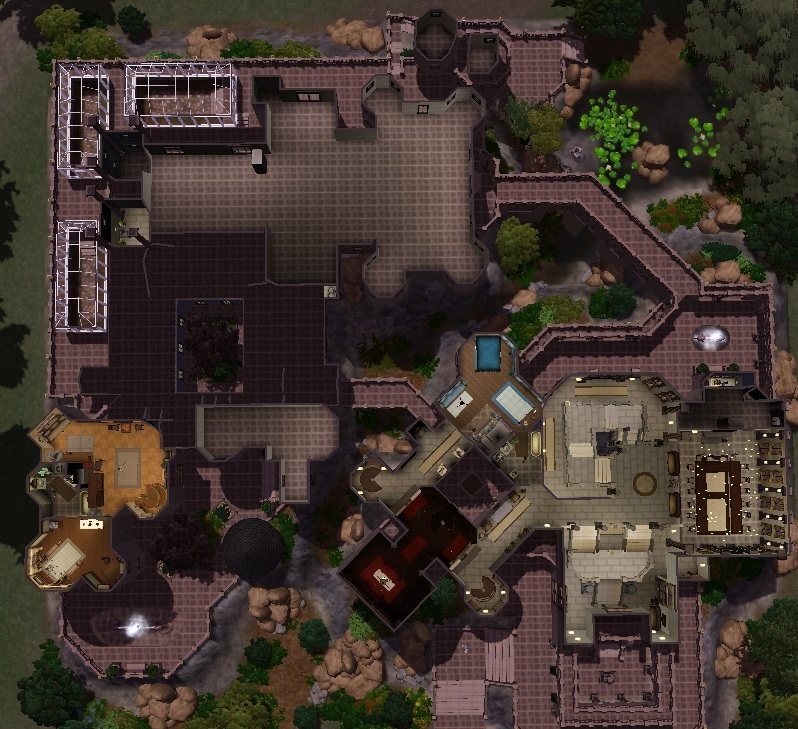 In order to reduce lag when playing on the lot and to avoid creating useless rooms there is some unused space on floors 2-4 which is there for purely decorative reasons to give the castle the desired shape. I also decided to test tomb making in this build and trust me, it caused me a lot of grey hairs. 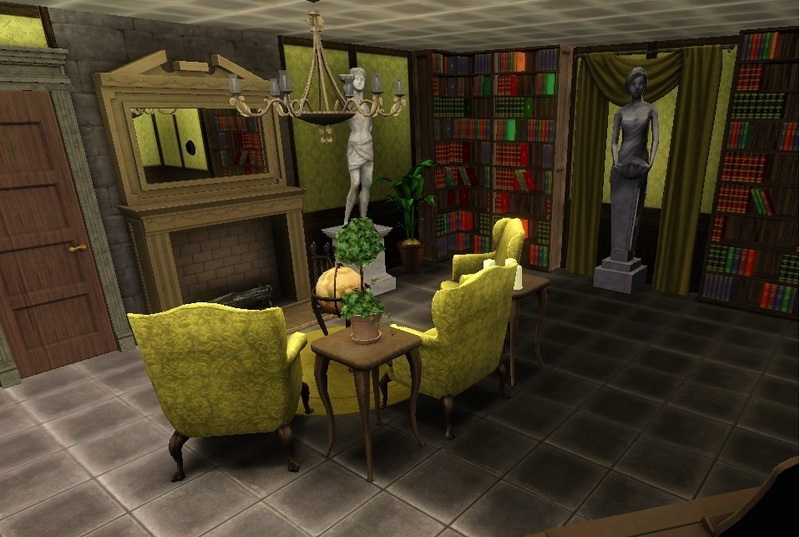 The tombed objects are mainly hidden doors. 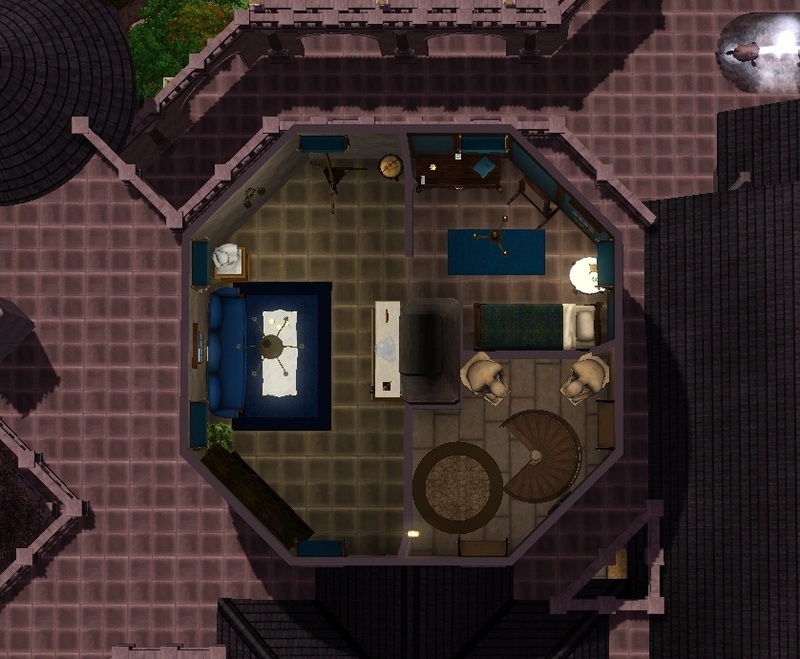 Each of the common rooms has a hidden door and a switch to open the door on each side so that your sims don't have to push the door open every single time they want to pass it. 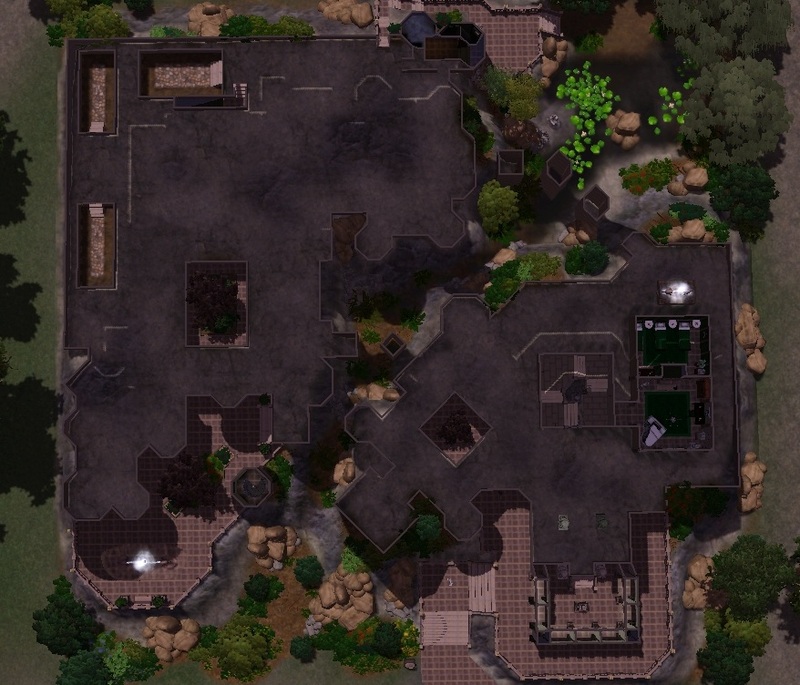 Also there is a small tomb concerning the Chamber of Secrets and some hidden pathways on the lot. 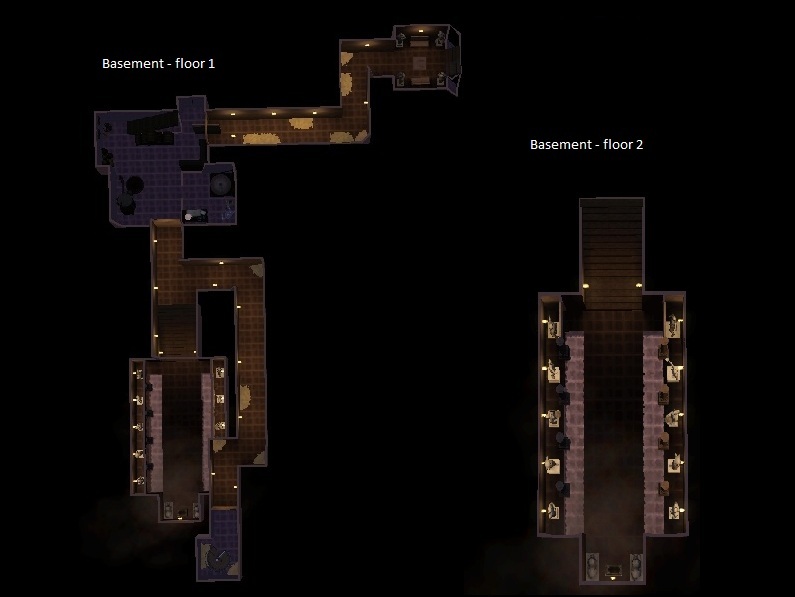 Also, a walk in basement is included (an accomplishment that caused me a lot trouble). 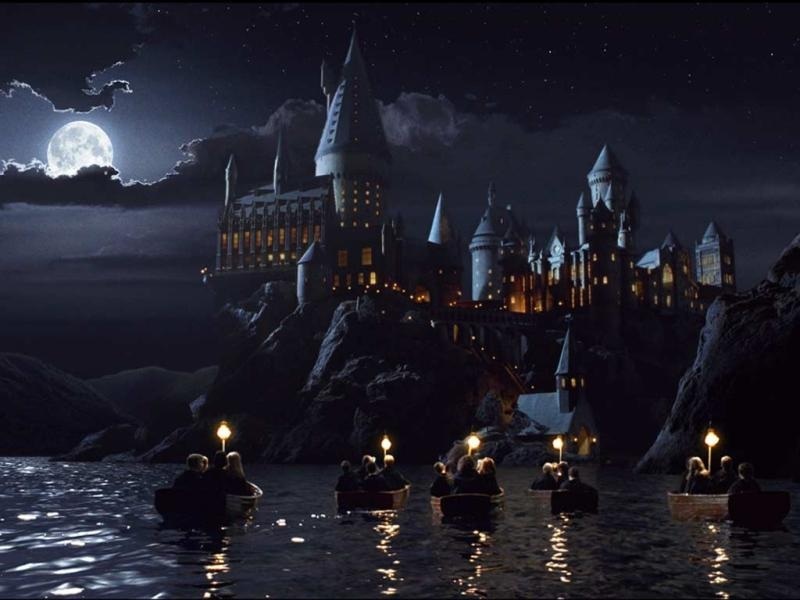 The recommened location for Hogwarts is in Bridgeport (see pic below). Since my game is not in English, I don't know the name of the address. EDIT: Thanks to Yogi-Tea I can tell that the address is "7224 Cherrywood Drive". 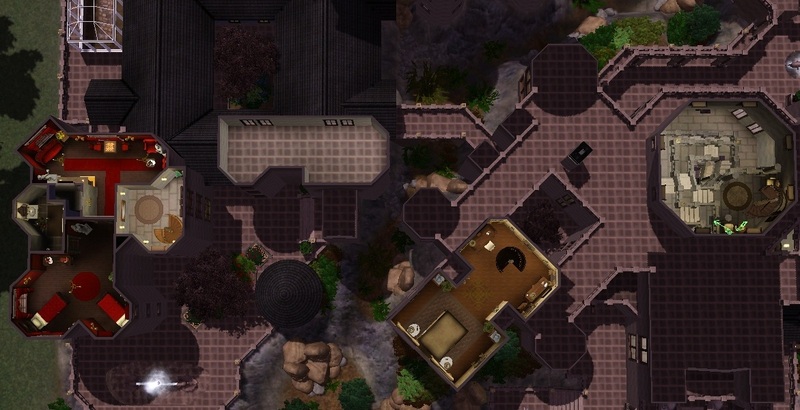 The lot size is 60x60. I tried to use as little custom content as possible and thus there is only one thing that has to be downloaded. I strongly recommend the mod since it improves some of the plants amazingly but it is not required. Thank you very much for both creators!